4909 Southwin Drive Winston Salem, NC. | MLS# 830616 | North Carolina Farm and Vineyard Specialist Patria Properties Inc. Absolutely Adorable one level home perched on hill with a nice large fenced level back yard complete with a patio. 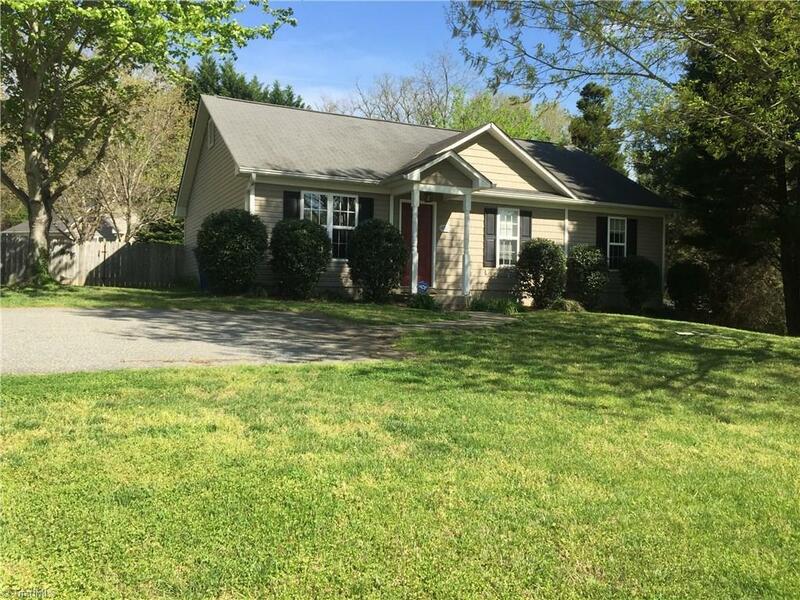 This maintenance free 3br 2 full bath home with vaulted ceilings and an open floor plan has been well cared for and is in an excellent location Convenient to 421 and Interstate 40 Great schools and shopping you can even walk to Jonestown and Country Club restaurants near by .